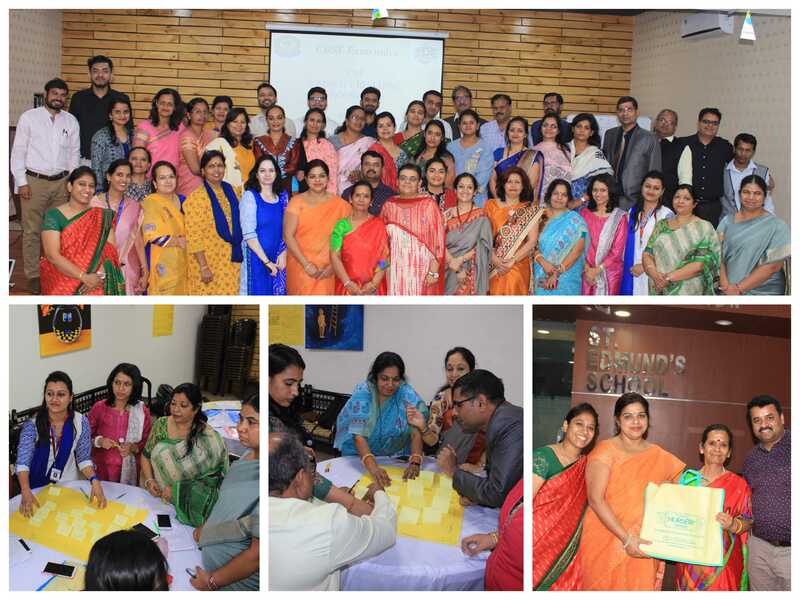 On November 26th and 27th, the Central Board of Secondary Education organized a “Capacity Building Programme” for senior teachers of Economics at St Edmund’s School, Jawahar Nagar. Teachers from various schools participated in the master training workshop, which gave them the opportunity to further their knowledge of their subject of study. As part of the workshop, teachers participated in role play activities that allowed them to reflect on teaching techniques. The faculty were further asked to study case studies in order to understand the practical application of these concepts, facilitating a deeper understanding of students. The workshop proved to be beneficial in widening the scope of knowledge of the versatile subject of Economics. Lastly, Mrs Anu Bhatia Principal of the school expressed her warm appreciation to the resource person and all the 43 participants from local and outstation schools as it was a fruitful session for all the teachers who have attended the event.